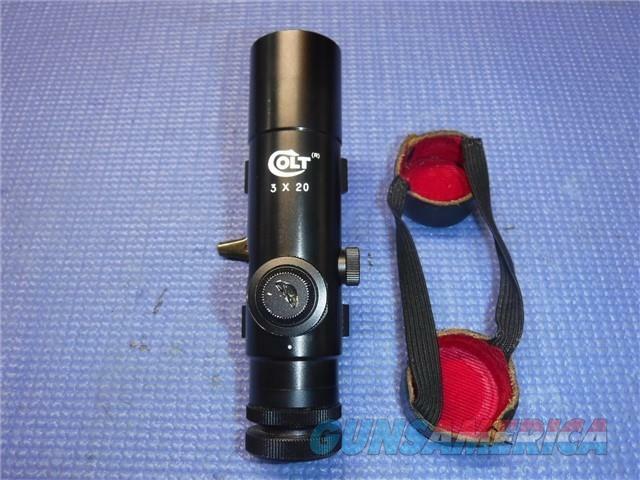 Description: Made in Japan Colt AR-15 3X20 Carry Handle Rifle Scope. Sight picture looks good. Duplex Reticle. The elevation turret cap shows the most wear. Other than that its very clean. Comes with what looks to be the original bikini caps.